PRICE REDUCED! 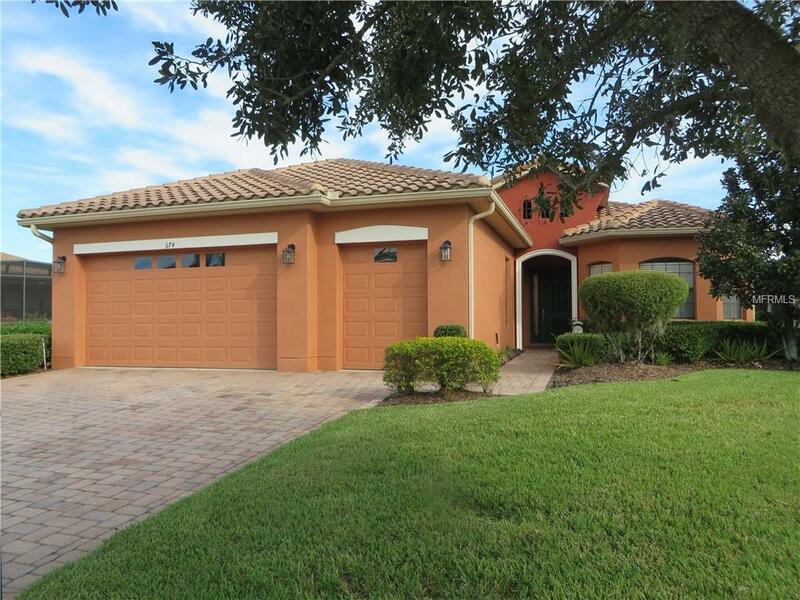 Homeowner says lets negotiate a deal for this outstanding expanded Boca Raton model with tile roof, hobby room, golf cart garage, two car garage and XL screened in lanai with acrylic flooring and all doors/windows are 8. The north view from the lanai is exceptional, offers complete privacy, allows for expansion, plenty of space for a pool and offers many possibilities to make this area really special. Now, as you enter the home there is a decorative glass sidelite at the front door. Once inside, you realize there are no carpets in the home. The great room has wide plank engineered oak wood flooring and Prego oak wood flooring in master bedroom and 2nd bedroom. All other areas have XL ceramic title. In the kitchen you have all appliances (included), recess ceiling lighting, lower kitchen pullout shelving and very attractive ceramic tile backsplash. All window/door blinds, window treatments, washer, dryer and freezer in laundry room are included. There are decorative lighting fixtures and ceiling fans with lights/remote controls throughout the home. In the XL master bedroom there is crown molding with dual sinks in the master bath. Also, the owners have radiant heat barrier installed under roof for added attic insulation for lower AC/heating bills and there is a transferrable termite bond in place. The garage has door glass inserts, wash sink and plenty extra storage shelving. This home is a great value. Shop and compare. Do not miss out on seeing this home. Pet Restrictions The Owners Do Not Have Any Pet(S) On The Premises Now And Never Did.